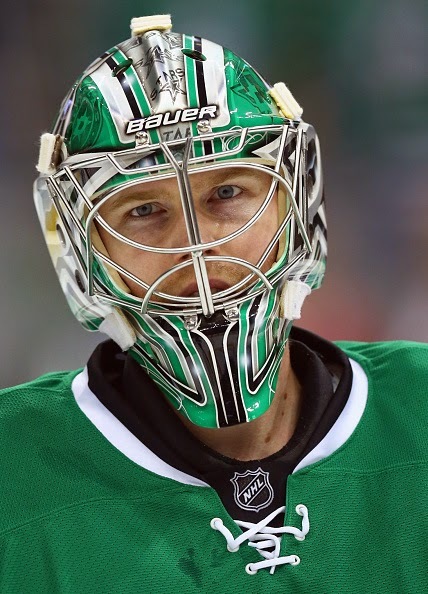 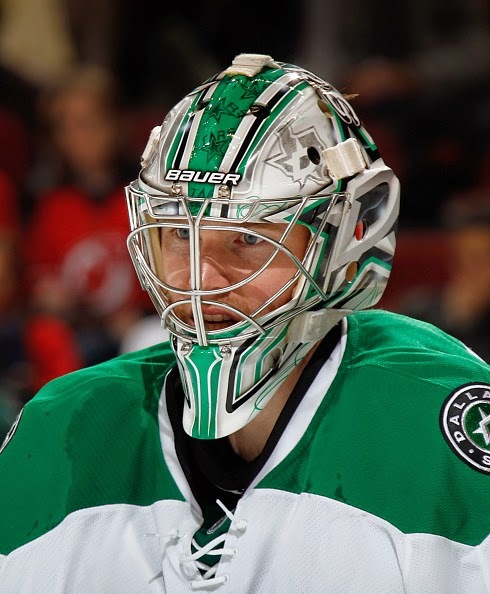 Bona has put two masks together for Lehtonen this year. 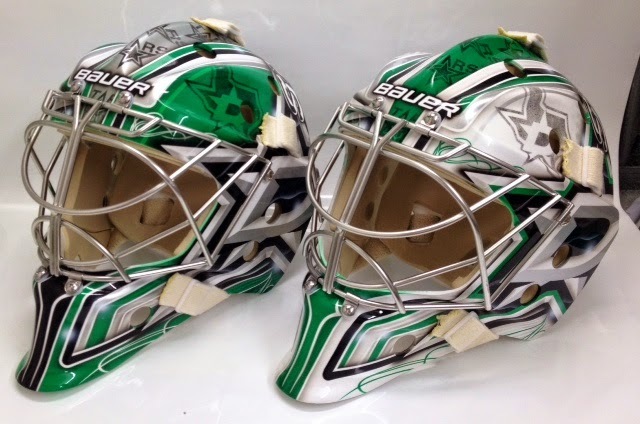 Both have identical designs and inverse colour schemes, so we assume they’ll be worn at home and on the road respectively. 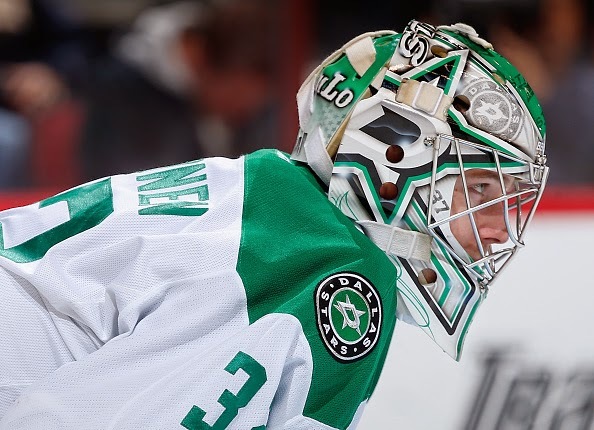 Playing nicely with the Stars colour scheme of green, white, and silver, Bona and Lehtonen have a clean and polished look to this design. 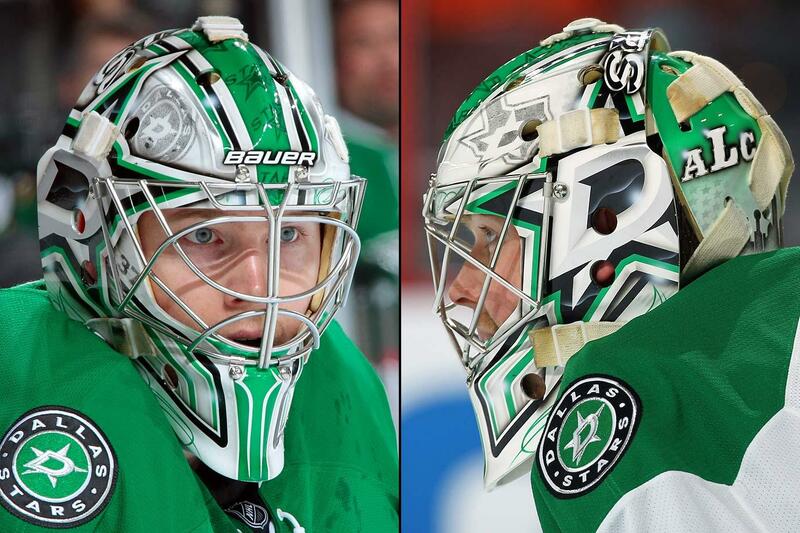 On both masks, the new “starred D” logo is featured on the left and right sides of the masks. 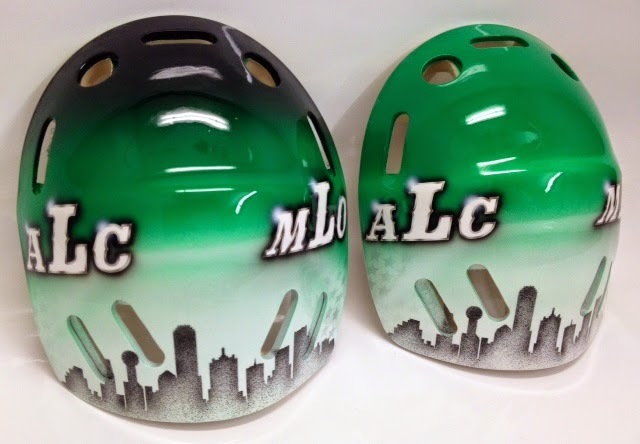 According to Hallikainen, “Kari wanted to have similar design what he had last season and spice it up with some 1970 era low rider graphics”, and so all Bona had to do was call up Marcus Power for a design and they were off to the races. On the top of the masks, you can see several old Stars logos, paying homage to the team Lehtonen has backstopped since 2009. 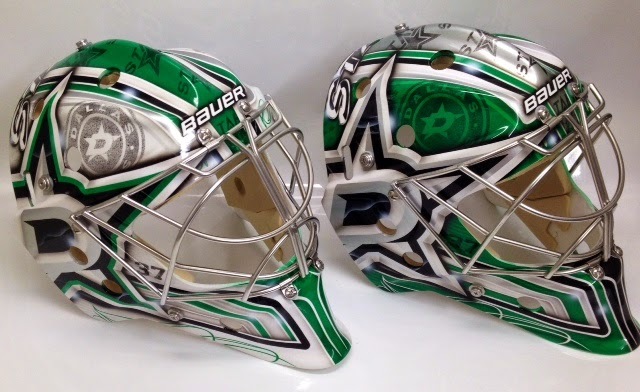 The chrome strips and linear design of the mask make for pleasing aesthetics and Bona doesn’t try to do too much with the illustration. 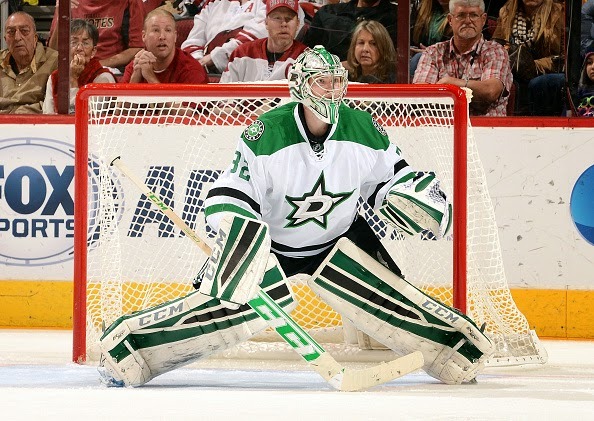 It looks like to me he only wore this one (white with green stripe) beyond October.